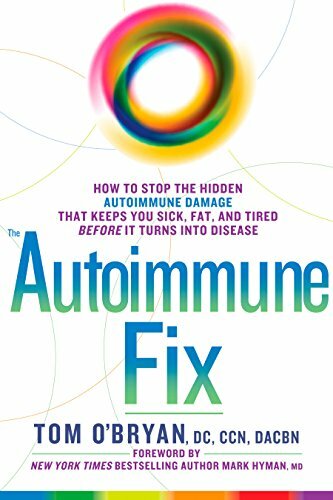 One of the most overlooked things in the process of dealing with autoimmune disease, is the fact that the majority of people diagnosed with autoimmune disease will likely leave their doctor’s office without having heard any advice on what kinds of things that can change to help prevent disease flare-ups. This can lead to a very frustrating time for those who are attempting to live with this disorder. Fortunately, the research done on autoimmune disease over the last 10 years has given some people choices as to how they can proceed. The next few articles will be just a general dietary guideline for autoimmune disorders. One thing that seems to escape a lot of individuals when they’re making choices about their diet, is that humankind was not developed on all of the kinds of sugar that we have today. Sugar can trigger inflammation responses in the body. This can cause a serious autoimmune flare-up that can last days. This happens because high amounts of sugar can trigger lipogenesis, which is the formation of fat cells. That process can make you feel sluggish and weak because it depletes your adenosine triphosphate, which is an important fuel your body uses for cellular actions. It’s been known for a short time that autoimmune conditions can also be triggered by sugar levels. Three research it seems that scientists have received some conflicting information about the effects of alcohol on autoimmune disease, but what the general consensus has come to, is that everything should be in moderation. Research has stated that drinking red wine can provide a powerful antioxidant called Resveratrol, but the studies seem to be very clear about the fact that they are talking about one or two glasses of wine, not three or more. Moderation with alcohol is important because tests have revealed that that high alcohol consumption can place more toxins in your body. These toxins can cause various types of inflammation and lead to severe a flare-up. Above all, be sure to listen to your body and take incremental steps when consuming alcohol. In the past, soy had been hailed as a great hero in the world of food and health. Unfortunately, as time went on health research began to link soy with hormonal imbalances that could cause serious illness. A closer examination of the effects of soy has revealed that some of the chemicals used on crops can possibly be responsible for this, and that these chemicals have the ability to harm the lining of your intestines. This has the unintended effect of teaching your immune system to attack food particles and food proteins as Intruders that must be eliminated. When your immune system is again exposed to these same particles, an autoimmune attack will immediately be initiated. The chemical in question here is an herbicide called glyphosate. With a bit of research, you may be able to determine which kinds of crops utilize this type of chemical to limit the amount of flare-ups and gain a higher quality of life.